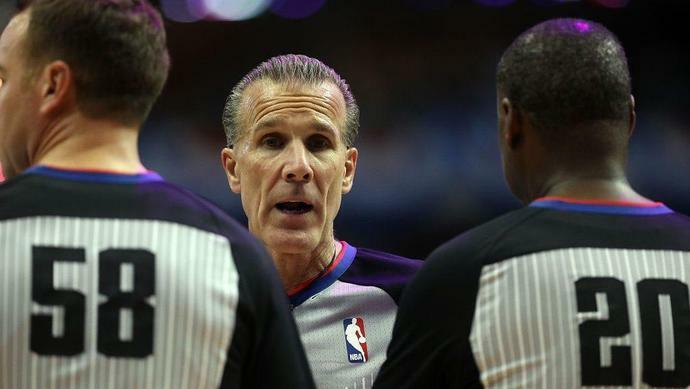 The one rule of Twitter is something that NBA officials are apparently willing to sidestep. That rule? According to ESPN's Brian Windhorst, NBA referees will tweet from their official Twitter account during NBA games this season and hold back-and-forth conversations with fans about calls during games. It seems like something that would immediately go wrong, but officials have done this before. They held Twitter conversations during last season's Finals and they apparently feel as though they went well enough to do this sort of thing again. You will be able to tweet at @OfficialNBARefs or use #RefWatchParty during Monday's game between the Golden State Warriors and Los Angeles Lakers, or Wednesday's matchup between the San Antonio Spurs and Philadelphia 76ers. It'll be interesting to monitor this thing and see where it goes. Even the most inane opinions can be shot down by the twittersphere so watching actual NBA referees try to defend themselves against the hordes could get wild.